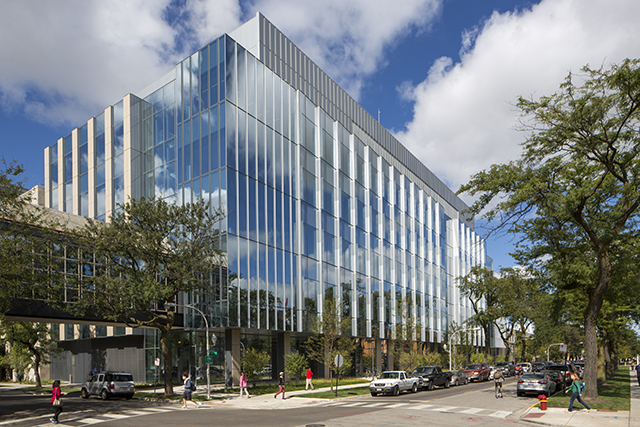 The first MICCoM Summer School on Computational Materials will be taking place at the Research Computing Center (RCC), located on the campus of the University of Chicago, on July 17th-19th, 2017. The school will include lectures and hands-on exercises which apply cutting-edge algorithms to simulations of soft and hard materials, utilizing codes developed by the MICCoM center: first principles molecular dynamics (Qbox), GW calculations (WEST), and free energy and reactive path sampling methods (SSAGES/COPSS). In particular, the school will focus on how these codes may be used and coupled in order to compute properties of complex heterogeneous systems and how to validate experimental data. Graduate students in molecular engineering, physics, chemistry, chemical engineering, and materials science who are interested in participating are invited to submit their application before April 15th, 2017. 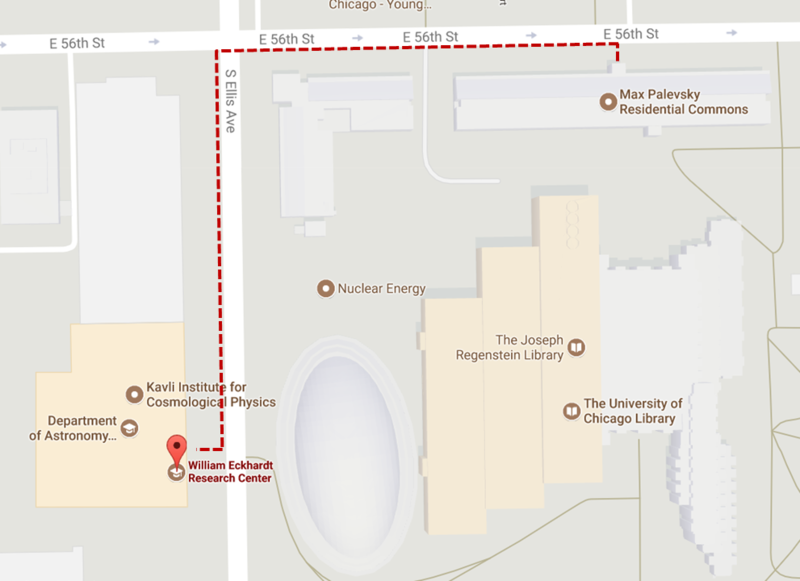 Accommodation will be provided on the campus of the University of Chicago. A limited number of travel grants is available. Please note that participants are expected to bring their own laptop. 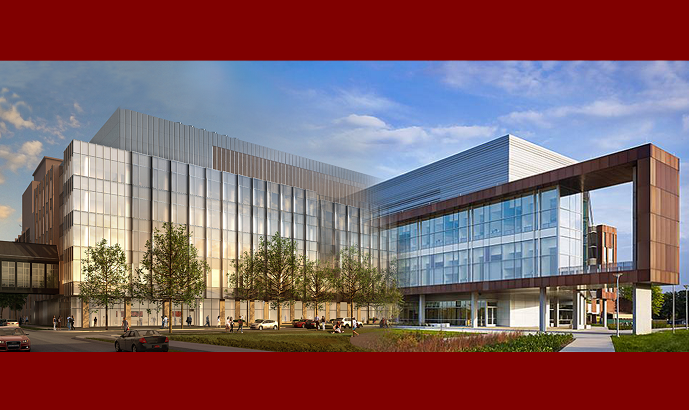 The Research Computing Center will provide access to computing clusters. Giulia Galli, University of Chicago & Argonne National Lab. Marco Govoni, University of Chicago & Argonne National Lab. For those of you staying in the dorms, you should report to the residence hall at the Max Palevsky Residential Commons, 1101 E. 56th Street on the campus of the University on Sunday afternoon when you arrive. Please note check-in is 2:00pm on your arrival date and check-out is 12:00pm on your departure date. Please note, the University is paying for accommodations directly for the time period of July 16-July 20th. The University can accommodate a slightly later check out such as July 21/July 22 but not an earlier check in prior to July 16. Unfortunately the rooms are not available prior to July 16th. If you plan to arrive prior to July 16th, you will need to secure your own accommodations. Hotel close to downtown Chicago: Chicago Club Quarters Hotel, Radisson Blu Aqua Hotel-Chicago, InterContinental-Chicago, Hilton-Chicago. 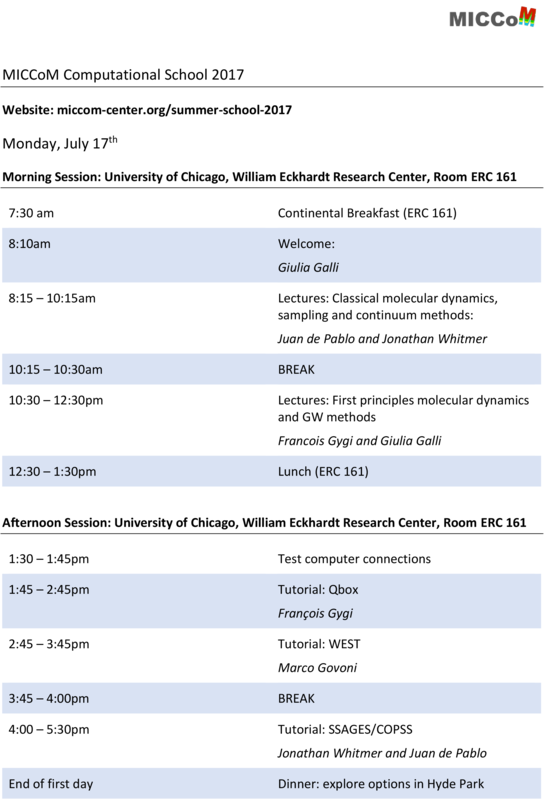 Breakfast and lunch will be provided all three days (in ERC 161 - the same room as the workshop), and dinner is provided on Tuesday July 18th in the atrium (right outside ERC 161). For dinner on Monday and Wednesday, you are free to explore options in Hyde Park. Some travel grants are available. Return all forms via email to smarijan@uchicago.edu. All travel support will be issued after the MICCoM School event (after July 20th). Download the Program of the School (shown below). 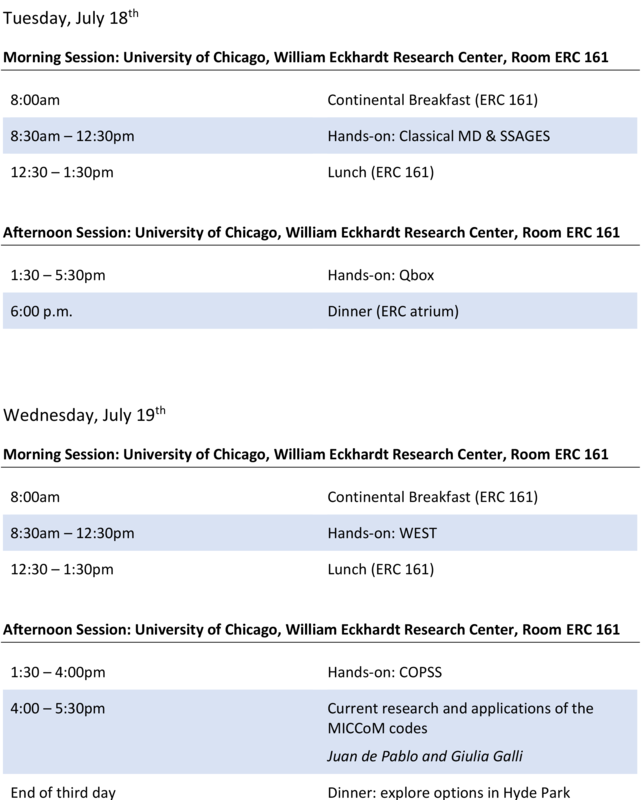 The school begins on Monday, July 17th in room ERC 161 of the William Eckhardt Research Center, 5640 S Ellis Ave, Chicago, IL 60637. Note that after a continental breakfast at 7:30am, the first event is a welcome at 8:10am, followed by the first lecture at 8:15am. Download the instructions for connecting to the computer cluster. Students will have a soft link in their home folder that points to this shared space for ease of finding shared folder. Contact Giulia Galli at gagalli@uchicago.edu, or Mzuri Handlin at handlin@uchicago.edu with any questions regarding this event.